My good friend Sandy, a very pretty mom of two, my classmate way back in high school and a law student asked me to do an everyday professional look. So I did it and here's what I got Sandy. 1. 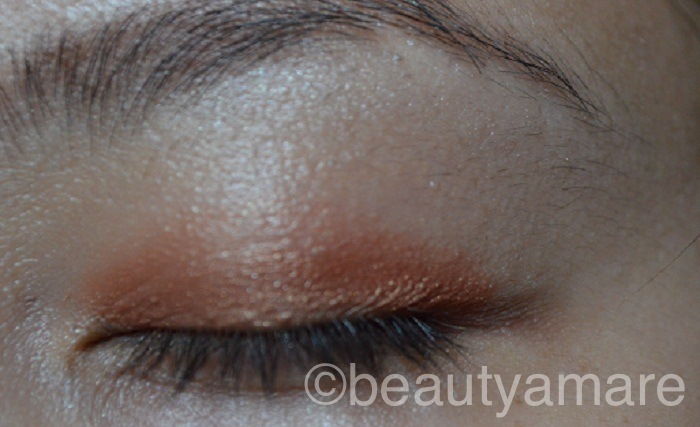 Start with eye primer (urban decay potion) then look for an orange-y copper eyeshadow color on your available palettes and sweep it all over your lid using an eyeshadow brush. I am using my Lancome 4pc Eye Shadow Palette. If you want to know the parts of your eye for makeup and the basic makeup brushes, here are the links: EYE MAKEUP DIAGRAM, MAKEUP BRUSHES. 2. Get a dark brown color as contrast to the orange-y copper color and sweep from the center of your lid up to your crease using a contour brush. Form a triangle like below and blend it up to soften the edge using a blending brush. This will add a simple dramatic effect to the cat eye makeup that you want to achieve. 3. I added a gold color on the center from my MAC Natural Flare Mineralize Eyeshadow. You can choose any brand you want. Line you upper lash line with liquid eyeliner or gel liner. 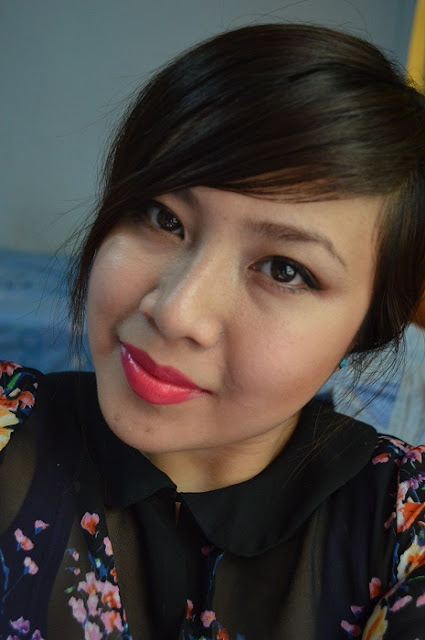 I am using a Revlon Gel Liner in this tutorial. Line it from the inner upper lash line all the way out. Make sure not to line it over the shadows. 4. Get your highlighter and dab a color to your tear duct. Finish your eye with a couple layers of mascara. I am using the new Maybelline Lashionista Mascara. I will post a review on this soon. Done! Hope you love this tutorial. 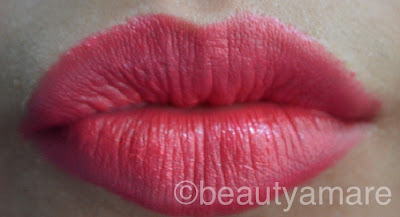 Please leave your comments below if you have done similar look or anything you want to know about this look..Thanks!!!! Thank you very much!I visited your blog and its very informative. I love your post about, "How much is my face worth"..
Hi Abi! Thanks! I am an amateur also...lol...you have a lovely blog!